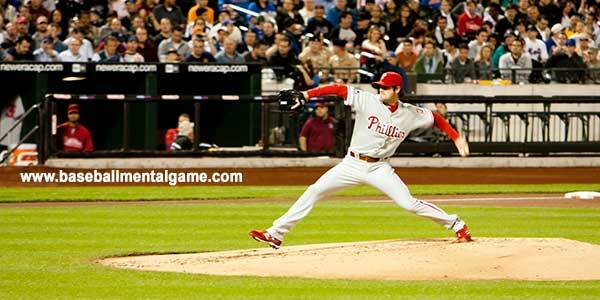 You are here: Home / Baseball Mental Game Articles / Do You Use Past Success to Feel Confident? This is a valid question. Memories have a strong impact on the present and can stir intense emotions, both positive and negative. Depending upon what you recall from the past will directly influence how you perform in the present. Here’s the difference between remembering the past and reliving the past. Remembering thinking about a successful play usually refers to recalling successful events. Reliving the past has a negative connotation and usually refers to being stuck on a past mistake. Remembering successes in the past can be boost confidence that you can succeed again and battle through current rough patches. Remembering successful events boosts your confidence, minimizes anxiety and helps you focus by eliminating negative distractions. On the flip side, reliving the past errors clutters your mind with negativity, generates intense negative emotions and blocks you from focusing in the moment. Reliving the past chips away at your confidence as you try to avoid the past repeating itself. The potential positive or negative impact of the past is what every baseball player needs to navigate through. Robertson is a 12-year veteran with a proven track record as a reliever. Due to his dependability, the Phillies signed Robertson to a $23 million, two-year free agent contract. Unfortunately, in his first five appearances in 2019, Robertson has under-performed with a 9.82 ERA. Robertson has been frustrated to the start of his 2019 season. The question remains will Robertson get caught up mentally replaying his slow start or will Robertson remember the past successes he has had in the past, such as his 2.54 ERA, 0.94 WHIP and 189 strikeouts in 138 innings over the last two seasons? If he can do the latter, he will not only feel confident but, most likely, regain his form. When thinking about past performances, think about the plays that made you feel successful. When is the last outing that you felt in control, focused, and winning the small battles? Recall these moments of success and imagine yourself performing the same way in today’s game. I know for sure that this approach has to be way better than thinking about avoiding errors, giving up walks, and striking out–the same ones you made in the past!